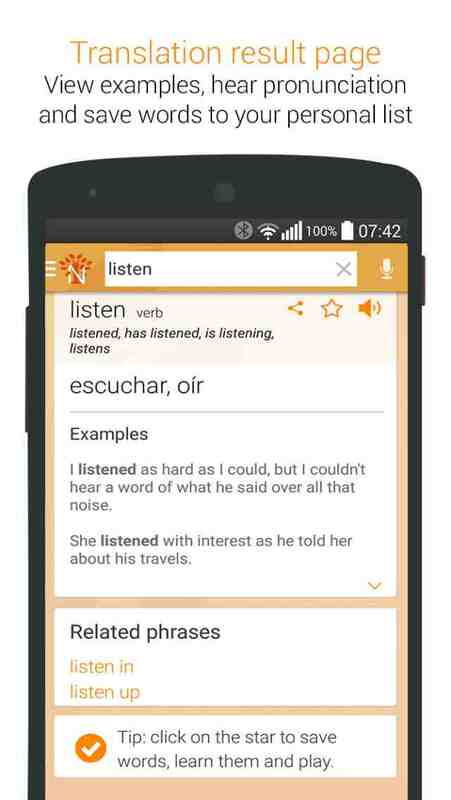 Nglish combines both a comprehensive English-Spanish translator with many English learning features, designed especially for Spanish speakers. 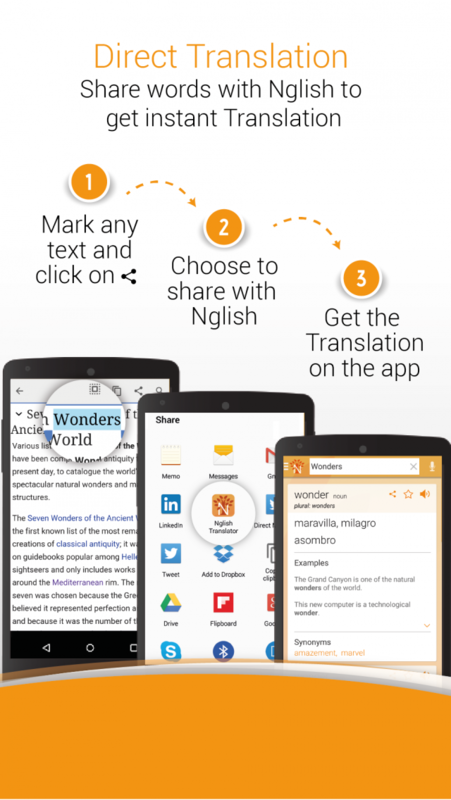 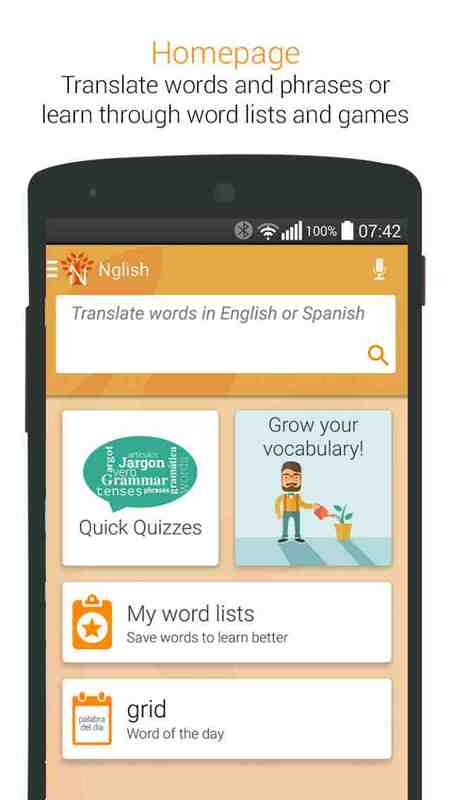 Nglish offers a comprehensive bilingual dictionary, Spanish to English and English to Spanish translation, including hundreds of thousands of example sentences, synonyms, related phrases and audio pronunciations by native speakers. 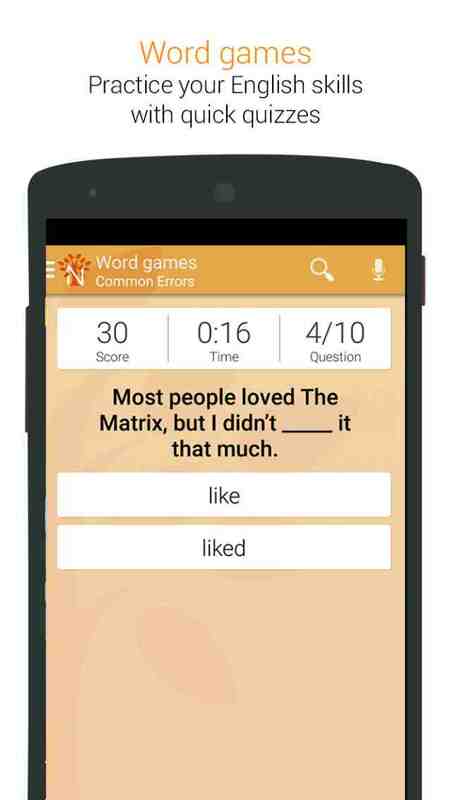 The learning features include vocabulary builder through games and flashcards in different subject groups with an option to create your own personal list of words and practice them at any time. In addition, Nglish features quizzes for learning essential English grammar rules and vocabulary with thorough explanations in Spanish.